Virender Sehwag's patchy form continued but skipper Mahendra Singh Dhoni still believes that the senior opener should be given more time to get back to form as he is a match-winner. Asked about the performance of Sehwag, who played in the Test wearing spectacles, Dhoni said, "I think we just need to give him more time. Well, that's how he bats. "About Viru pa, I've said this plenty of times before, when he scores runs, he looks a fantastic player and when he doesn't, you can question the shot he played or the way he played. "He's someone who's always played with that sort of flair. At times, we get very critical about him. We all know he is someone who can change the course of the game, he's an attacking player. So let's go forward with that kind of an attitude," he said. 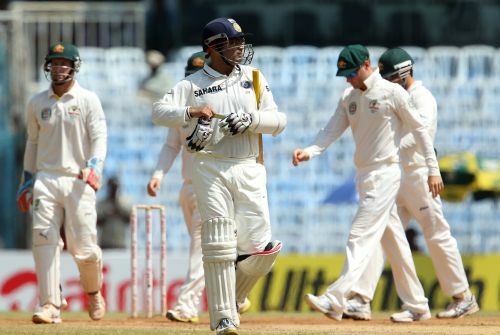 Sehwag had scores of 2 and 19 in the first Test which concluded in Chennai. He said Sehwag was unfortunate to get out in the first innings. "This wicket, there was not much pace. First innings, he was unfortunate because he middle the ball, yet it came back and fell on the stump. In the second innings, there was not much pace for him to play freely," Dhoni said at the press-conference after India beat Australia by eight wickets in the first Test. The Indian captain also made it clear that Murali Vijay, who scored 10 and six in the two innings, will continue at the opening slot. 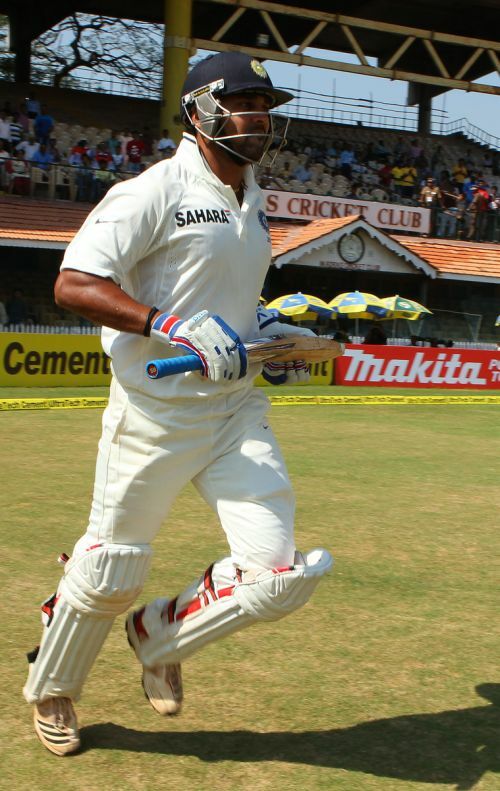 "If you look at just the statistics of opening batsmen you may say that he (Vijay) is not good enough. But at the same time you need to give them a fair amount of time. "Let's hope for the best. Vijay has played this game, let's continue with him and give him some time and the comfort of saying that he's wanted over here," Dhoni said. Asked if the team could go for four spinners in the Tests to follow, Dhoni said, "Four or five can be an option but you have to be sure that the wicket will turn. "On the very first day, most of us assumed that it (Chepauk) would be a turning track, it would have plenty for the spinners. But we saw it was a decent wicket. "Yes, there was a bit of turn on offer for the spinners, but overall it was quite a good wicket. That's why you want to be prepared for a situation like you think something may happen, but it actually goes the other way around. "Also, Bhuvneshwar Kumar is someone who can add a bit. We all know the importance of batting deep because it really frustrates the opposition bowling. I think we went with the right combination. "Three spinners itself is a lot. If you have an extra fourth spinner, then it becomes very difficult to answer why the fourth one bowled only a small number of overs. "You can't make three or four spinners bowl the exactly same number of overs. You don't see the number of overs bowled by them and then make a bowling change. Who looks effective, according to that you make the change." On Ojha being left out for the first Test, Dhoni said, "There are lots of questions. It's not always good to be predictable. As I said, you look at the batting line-up, there were lots of left-handers in their side. "As I said, it's considered that the away-going spinners is quite difficult to face consistently. Also, the fact that the away going spinner, can keep it slightly tight so that you don't leak too many runs. "So we had the perfect combination of two off-spinners and one left-armer."